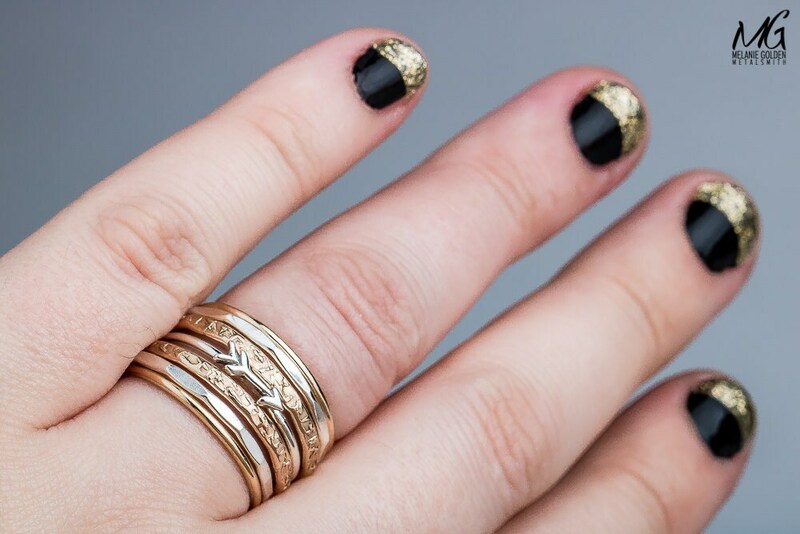 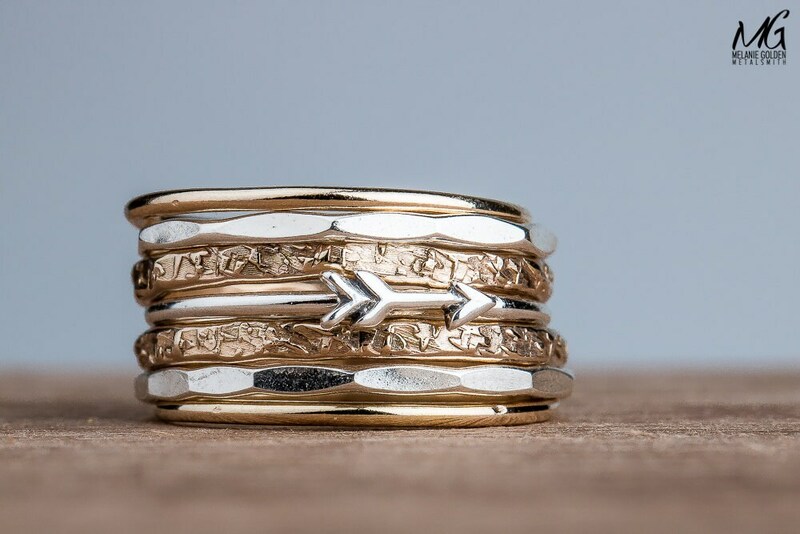 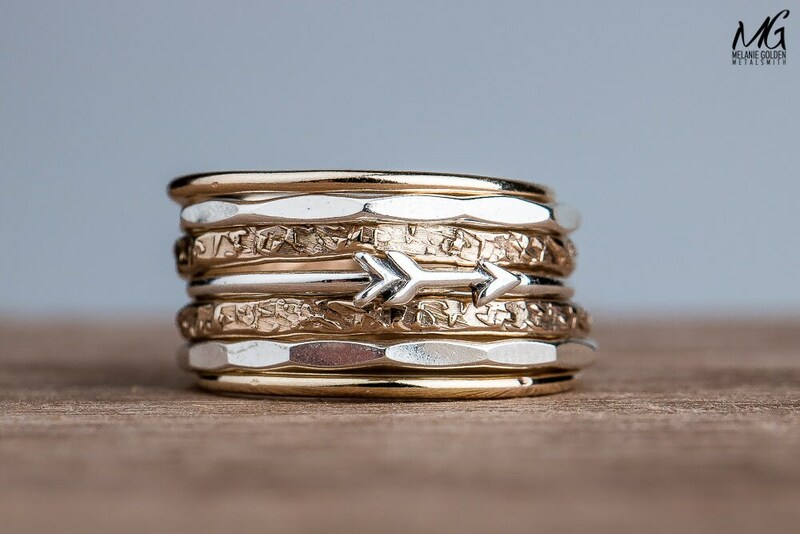 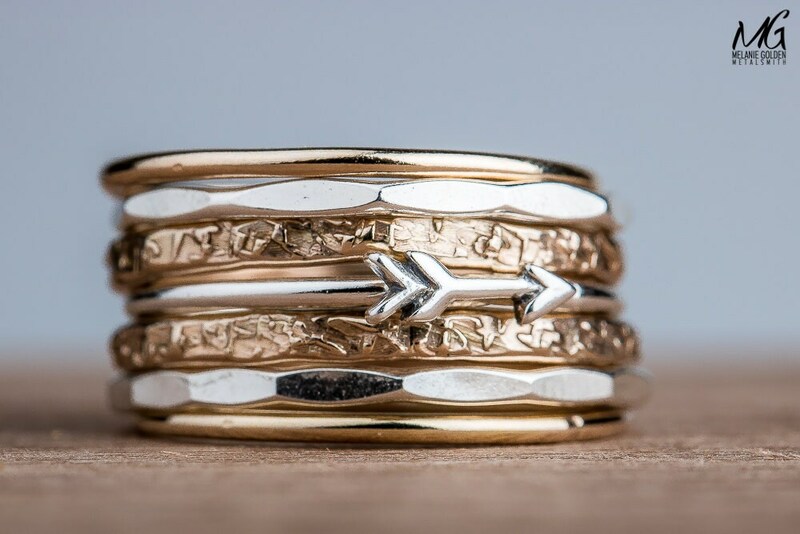 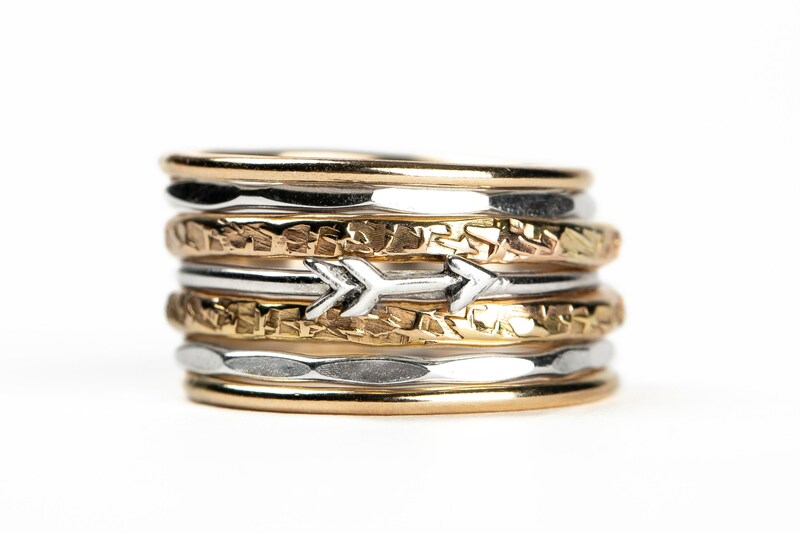 This ring set contains 2 14K Gold Fill "Smooth" stackers, 3 Sterling Silver "hatched" stackers, 2 Sterling Silver "Dot" stackers, and 2 14K Gold Fill "Twist" stackers. 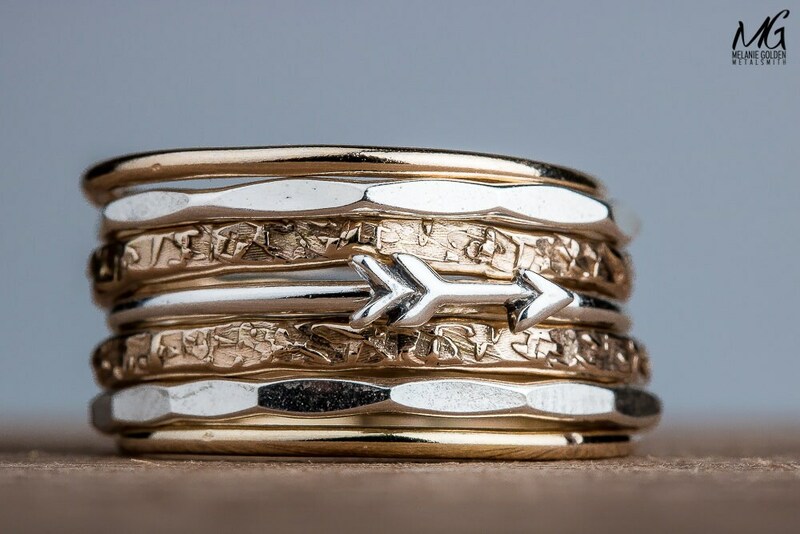 - Rings are made entirely from solid 14K Gold Fill and Sterling Silver. 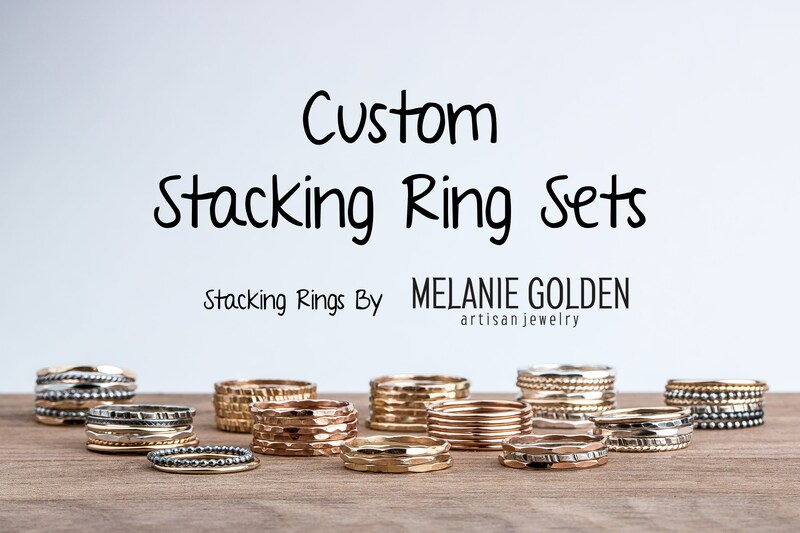 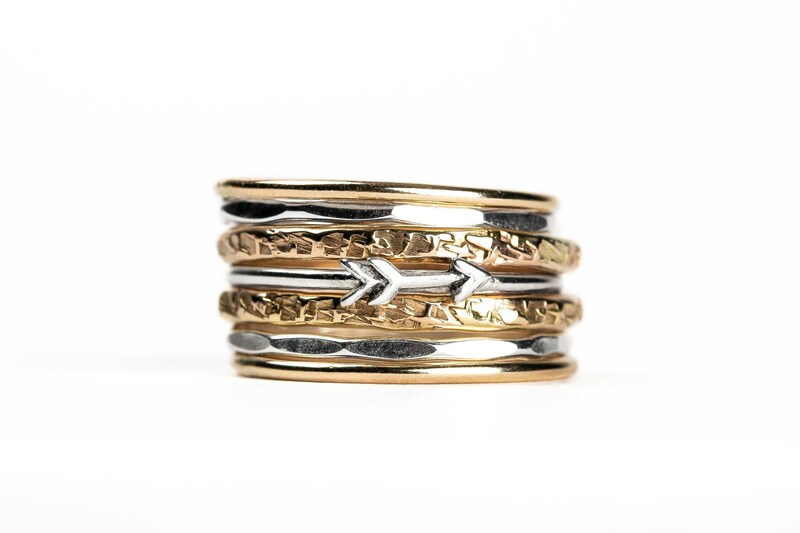 - This is for a set of SEVEN rings as shown: 1 Sterling Silver "Arrow" stacker, 2 14K Gold Fill "Raw Silk" stackers, 2 14K Gold Fill "Smooth" stackers, and 2 Sterling Silver "Mirror" stackers.